Despite the fact we’re in the grip of some kind of Siberian February, the days are slowly but surely getting longer. It’s light now until at least 5.30 which leads me to think spring is surely out there somewhere. And when it comes, I’ve got my eye on some beautiful new bedding. 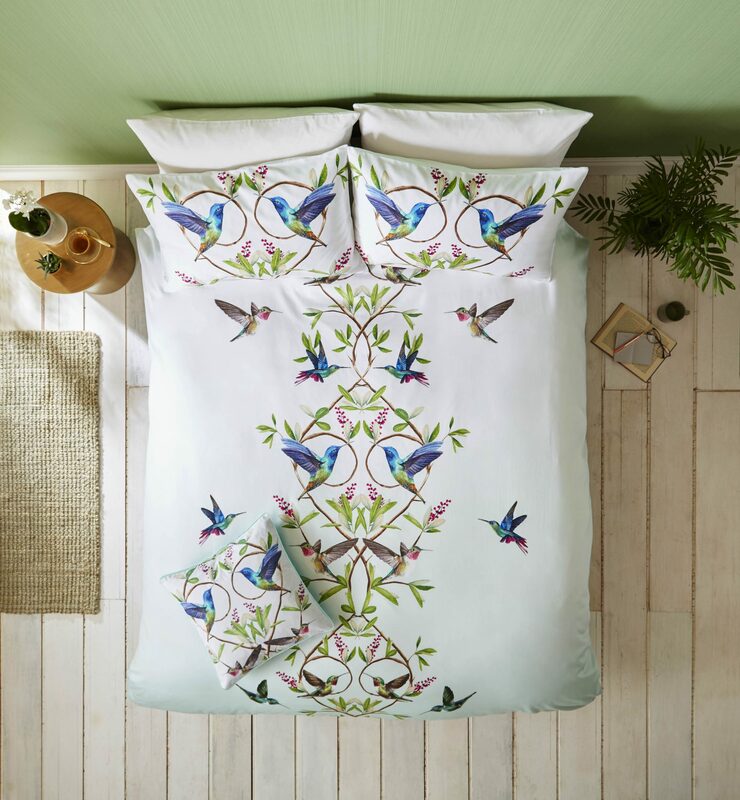 Let me introduce you to the divine botanical-inspired new bedding collection from Ted Baker. Somehow Ted Baker homewares had escaped my attention. Pete bought one of their suits in the Christmas sales which has the most amazing lining featuring colourful front doors. So of course it stands to follow that their soft furnishings would be equally as creative. For this season’s bedding, the brand have developed 5 new patterns inspired by the quintessential English garden. Each set will be available in sizes from double to super king including housewife pillowcases. And without further ado, here are the stunning designs. Designed to add an accent of delicate florals to any room, Ted’s Chatsworth Bloom print is covered with graphic blooms in delicate creams and pale pinks on a soft grey backdrop. Crafted from luxurious cotton sateen, this bedlinen makes drifting off to sleep even dreamier. Blending photographic elements of Ted’s opulent jewellery with scaled-up illustrated roses, Ted’s Blenheim Jewels print is the essence of delicate femininity. 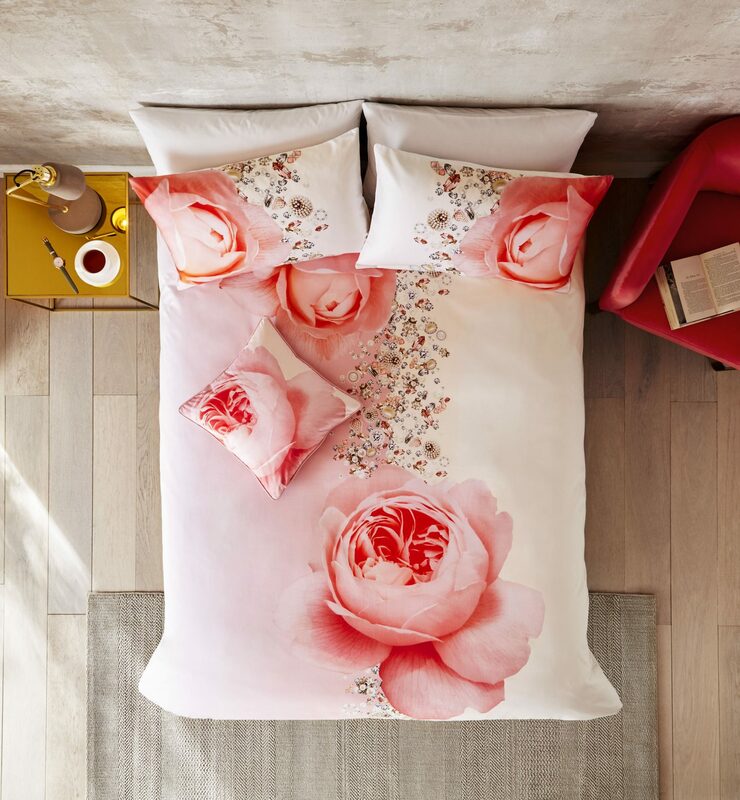 The scattering of gems, brooches and rose petals in a contemporary fashion gives your bedlinen a real touch of luxury. A soft, delicate shade of powder pink provides the backdrop for a detailed illustration of the sweetly-fragranced magnolia. Create impact in a feminine way for a statement print that brings a slice of Ted’s garden into your bedroom. Inspired by the richness of flora and fauna found in the royal gardens at Highgrove, intricately decorated branches, florals and hummingbirds combine in this opulent print that brings a touch of royal splendour to your space. 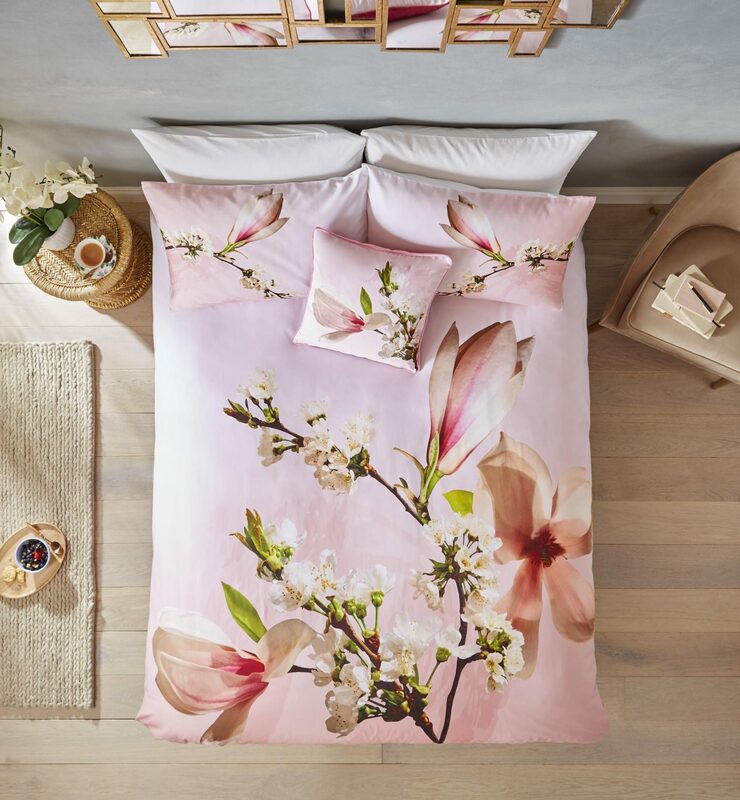 A soft, delicate shade of powder pink provides the backdrop for a detailed illustration of sweetly-fragranced magnolia, creating an impactful statement print that brings a corner of Ted’s garden into your bedroom. Do you have a favourite? I think mine has to be Chatsworth, I adore the soft grey background which would work perfectly with our bedroom colour scheme. The bed linen is crafted from a 200 thread count sateen and will be available from UK leading retailers. Double retails at £90, King retails at £105 and Super King retails at £115. All images supplied by Ashley Wilde Group for Ted Baker. This is not a collaborative post, just sharing something I think you may enjoy. The first two are my favs, I love Ted Baker, I have a couple of bags and a gorgeous winter wrap and they are super great quality and so beautiful. I think the Harmony is my fav but they are all lovely. Love the first one, but they’re all really pretty! 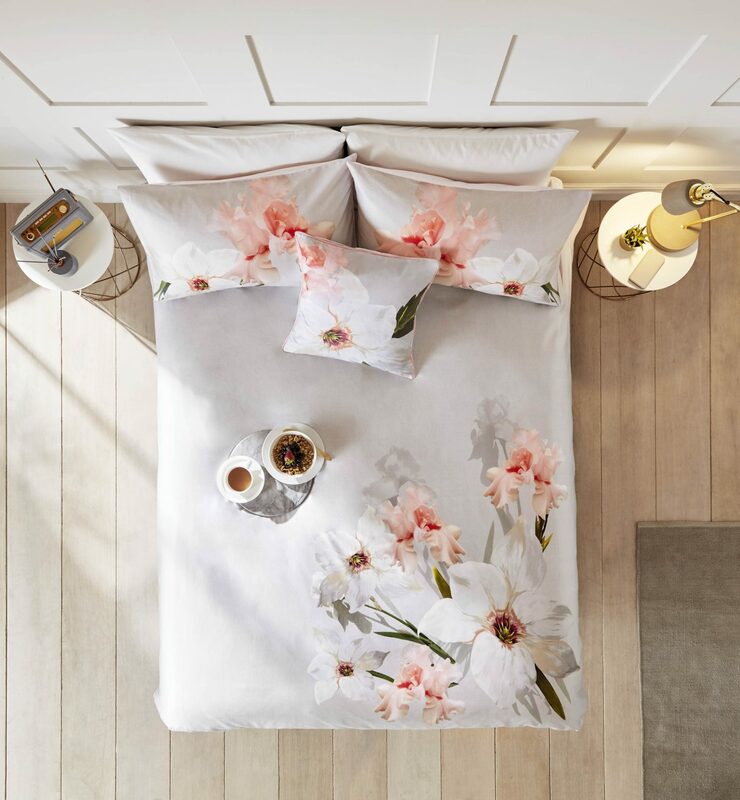 You know me, I love a bit of pink and Ted Baker Home certainly do not shy away from this colour! Sea Of Clouds is my favourite! Oh wow. These are really beautiful. I think sea of clouds had to be my favourite. What beautiful colours. Ooh these are gorgeous and so very Ted Baker. I love their bold style. How pretty are these intricate patterns. I really like sea of clouds and Blenheim Jewels. 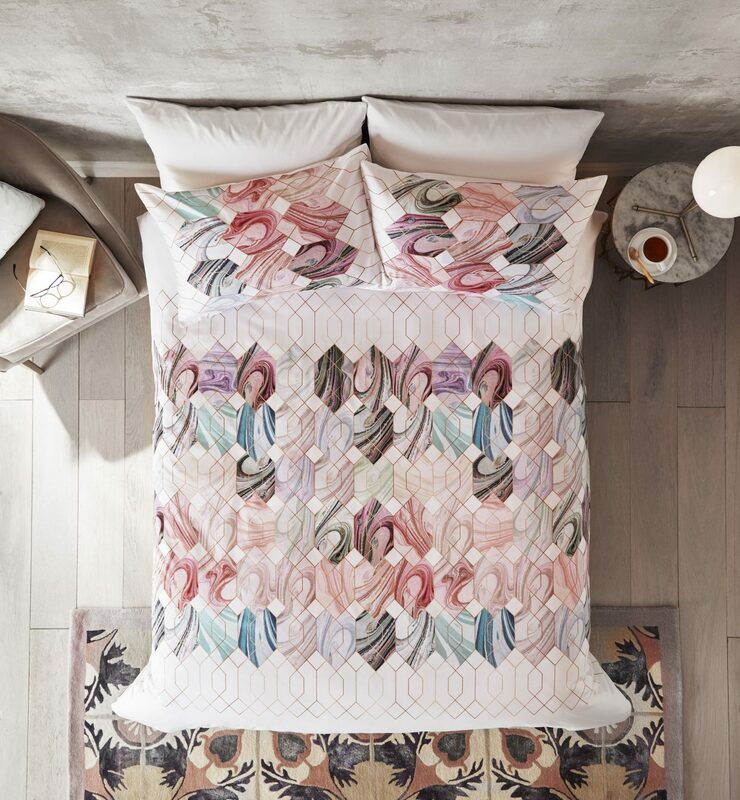 I’m a big of Ted Baker but I didn’t realise they had a bedding collection. Thanks for sharing! Wow! Would never think of here for bedding so thanks for the heads up!